Friends and family gathered on March 3 for a bridal shower in honor of Shannon Roberts, who will wed David Hunter Thornton on April 13, 2019. Pictured, from left, are Donis Roberts, mother of bride-to-be; Shannon Roberts, honoree; and Cindy Bartlett, mother of groom-to-be. Friends and family gathered on March 3 to for a bridal shower in honor of Shannon Roberts, who will wed David Hunter Thornton on April 13, 2019. 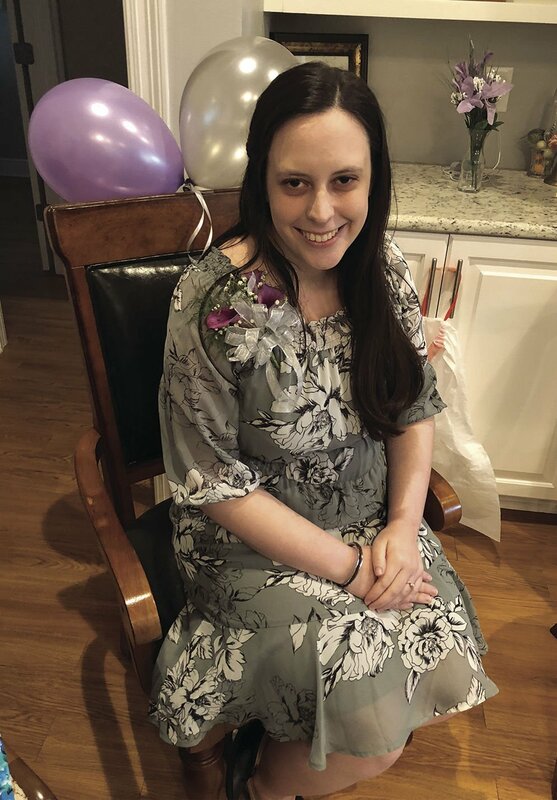 Shannon Roberts was recently honored at a bridal shower given by fellow church members on March 3, 2019. Friends and family gathered at the home of Mr. and Mrs. Jack Mitchell to shower the bride-to-be, who is engaged to David Hunter Thornton of Vidalia, Louisiana. The couple will be wed on April 13, 2019. Among the honored guests who attended were Donis Roberts, mother of the bride-to-be, and Cindy Bartlett, mother of the groom-to-be. Around 35 guests attended the event.